Useful tools for newsrooms are emerging that can be embeddable, making it easier to diversify content creation. We’ve seen more services that offer features like data visualization, audience feedback, and 360 images and videos. Thanks to the advent of these services, newsrooms can start including new features for their audiences without the tech overhead to build and maintain them, providing audiences with new ways to interact with publications. The art that accompanies a story is a critical component of the reader’s experience, and publishers that fail to invest in art direction run the risk of losing their audience’s interest. The New York Times is making articles more compelling through thoughtful art direction and dynamic media. For example, they have taken media that is static in print, and rendered it as a GIF in a newsletter and online. The GIF doesn’t just grab attention, but works in context to create a more exciting article. Recently they used a script as a feature image, pushing the media format further. The feature rendered code on a canvas, instead of an image. This lends itself to interactive illustrations that respond to user interaction or scroll. Right now, most articles only give a reader the ability to view, comment, and share. Sites will explore further what it means to allow readers to be more active, giving their audience more expression and ability to take part in a two-way conversation. This could be through events, donations, interactive/experimental media, feedback, products, or e-commerce. There are feedback loops to support media outside of clicks and views, and it has to start with an approach that prioritizes deeper engagement with readers. More technology will emerge to facilitate this, and digital publications that adopt them will succeed. 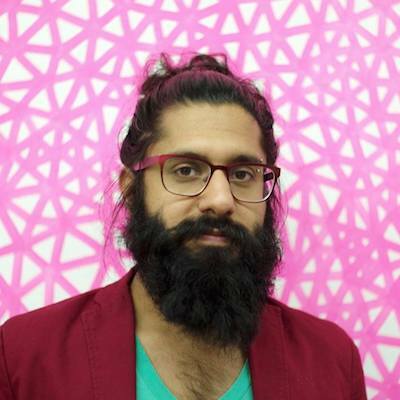 Kawandeep Virdee works on the product team at Medium. Dec. 18, 2016, 10:37 p.m.